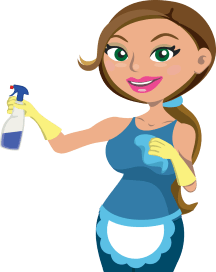 What’s the advantage of having a clean office? How about the fact that a clean office leaves a positive impression upon potential business partners. And wouldn’t your current clients love to visit you more often with business calls when they know that they’re going to experience comfort upon setting foot inside of your office property? Having a clean office is also great for emotional morale. Employees who work in a clean office are more apt to think clearer, experience good cheer, and perform better. And then, there’s you. Don’t you your work environment to feel comfortable? Some employers believe that a sign of productivity is clutter, but the opposite is true. Clutter makes people experience claustrophobia. Claustrophobia shuts down the brain, placing it into flight or fight response. In other words, not only will your employees lack productivity in the face of clutter, but they’ll also experience anxiety, and maybe, hostility. You can eliminate this by encouraging everyone to get rid of junk and clutter. Designate recycle bins for paper and other recyclable waste. Strongly encourage employees to dump food and beverage waste in the proper waste bins. And be the example that you’d like to see. Make sure that and the end of the day, you’ve left your work space neat and tidy. How does your office smell? Did you know that there’s a direct correlation between aromas, smells, and the level of cleanliness in a space? To clarify, an aroma is a scent that leaves positive thoughts in a person’s mind. These can include gourmand (food) aromas that place people in a mental space of comfort. When your employees are comfortable, then they’ll often become more creative, and they’ll work with a cheerful, peaceful attitude. A smell usually refers to a scent that leaves a negative impression in a person’s mind. 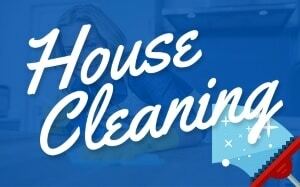 This includes the smell of garbage, rotting food in the office refrigerator, smoke, or mildew in your upholstery. Your employees will dread working inside an office that smells bad, and none of your prospects will want to do business with someone who’s perceived to be sloppy, dirty, or unsanitary. Make it mandatory for garbage to be disposed of on a daily basis! See to it that someone is taking care of issues such as greasy or sticky residue on desks and computer keyboards. 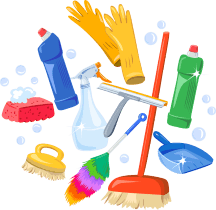 Due to time constraints on your employees, you’ll need to hire an office cleaning service to help you with your daily office cleaning routine. 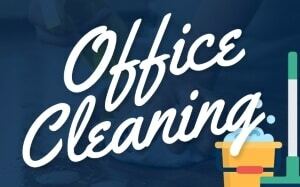 Not only will an office cleaning service dump your trash and clean up nasty residue that leads to odor, but they’ll also take care of other cleaning issues that lead to distraction. For example, they can clean fingerprints, dust, and smudge off of the insides of your office windows. They’ll make sure that your carpets are vacuumed, and your floors are mopped. In short, they’ll ensure that you and your staff can arrive each day to a sparkling office space that everyone is proud of.